Source: Laura Page, The Guardian. Phil’s illness is totally dominating his life. 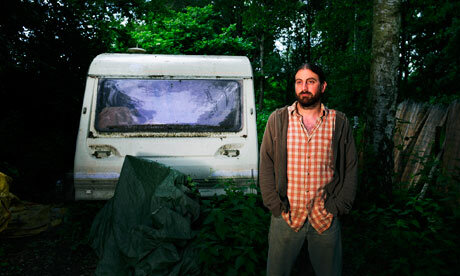 He now lives in a caravan in the woods in Hampshire in an attempt to distance himself from EMFs. He is constantly worried that he will be asked to move on. When symptoms have been really bad he has retreated further into the forest, at one point living in an abandoned children’s den and cooking on an open fire. “I’ve been through hellishly desperate times with this,” he says. “People don’t believe that EMFs are the cause of EHS and it gets you in such a state. You’re battling for your existence and people think it’s all in your head.” He breaks down in tears, not for the last time during our interview. The strain of his situation is taking its toll. Solitary as Phil’s suffering seems, he is not alone. Estimates of the prevalence of EHS in the developed world vary, but most surveys indicate somewhere between 2% and 5%. The best-known sufferer is Dr. Gro Harlem Bruntland, the former prime minister of Norway, medical doctor and former director general of the World Health Organisation. She brought EHS into the mainstream when she said she was sensitive to radio waves from mobile phones in 2002. She was accused by some of scaremongering, and there is debate over whether she jumped or was pushed from the WHO. Either way, to the consternation of campaign groups, she has now gone quiet on the subject. Phil says he first experienced symptoms around the time that Wi-Fi came along. He had been working as a sound technician and, being from a “techy” background, regularly fixed computers for family and friends. After a day working around strong Wi-Fi he would feel pressure at his temples and fluttering pains in his chest. It was when he encountered the very same symptoms tuning in a hands-free phone kit for his dad that he began searching for an explanation. “I looked online at some reports about EHS from independent scientists. 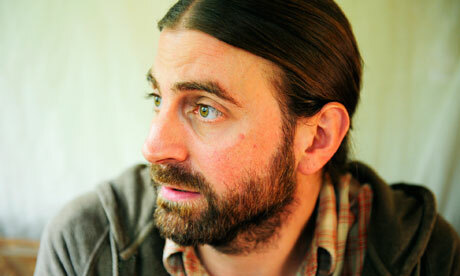 I didn’t like what I was reading so tried to leave it [EMFs] alone,” he says. He also compares current feelings about EHS to those about ME and Gulf war syndrome in the past – illnesses that were said not to really exist or be purely psychological and that, while still not fully understood, are now taken much more seriously. After Phil’s illness started to worsen to include convulsions and blackouts he began to ask for help, but does not feel he has received any. Phil’s GP simply informed him that there was no convincing evidence that electromagnetic radiation has any detrimental health effects. He then contacted the Health Protection Agency, leaving several messages, but no one ever got back to him – until he received a voicemail telling him not to call again. Phil describes his condition as “living in a nuclear war”. He asks: “Can you imagine what it’s like when your environment becomes so aggressive to your health?” His voice trembles and he looks desperate. Phil could certainly do with moral support and financial help to stop him slipping further towards the edge of society. But what he really wants is for people to believe he is right about the causes of EHS. He’d like more independent studies to be undertaken and seriously considered. It is not clear whether more studies will be conducted in the near future. It’s even less clear that they will ever yield the results he is looking for. Phil Inkly, 36, now lives in the woods because, he says, gadgets give him nosebleeds, blackouts, and many other unpleasant things. Imagine if you were a food critic and suddenly developed a wheat/dairy/corn/carb/fat allergy. Or what if you were a car mechanic and the smell of gas brought you out in itchy purple hives and then made you have convulsions? Inkly, you see, claims to be allergic to pretty much everything to do with, well, technology. You name it and it affects him. If it’s some kind of gadget, if it’s even a battery, it might give him nosebleeds, burning headaches, sleep problems, or even blackouts. These symptoms have caused him to move into the woods, as far away from technology as he can be. And yet, as the Daily Mail reports, no doctor has diagnosed his condition. Instead, Inkly himself diagnosed it as Electromagnetic Hypersensitivity. 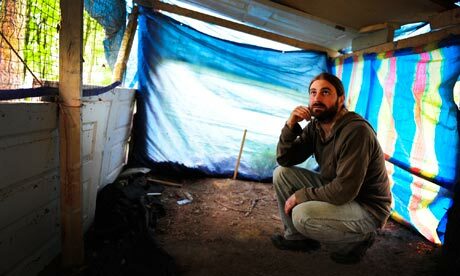 He lives in a small caravan in rural England and says his life has been completely destroyed. He has no friends, no love, and he doesn’t even know how seriously ill he might be. “I’m always ill and can only handle being in remote areas with little radiation so because of this, money is tight,” he told the Mail. Inkly was not some reluctant techie. He told the Mail: “I’ve been passionate about technology from childhood, previously working as a sound engineer and tutor of music technology. I frequently repaired computers for family and friends — all was fine until things started going wireless.” He says he began to notice that things weren’t quite right when he was around computers and cell phones. Then he moved near to a former Army base. Since then, the symptoms have become only controllable by fleeing to the wilderness. “Now I suffer from extreme pain on the side of my brain that I used to hold my phone to, and when I get nosebleeds it comes from the nostril on that side of my head too so I believe it’s linked,” he told the Mail. Even when he moved into the woods, he felt pain that he says was caused by a nearby office that used phones. So he bought them phones that turn off the radiation when they’re not being used. It’s not as if he’s avoided doctors. The problem is that the doctors can’t use modern technology to examine him. “There is a worry it could be a tumor or a hemorrhage and they have strongly recommended I have a brain scan, but of course I would be in so much pain if I did that,” he said. Couldn’t he be sedated first, perhaps? Inkly isn’t the first to suffer similar symptoms. There are two French women, Anne Cautain and Bernadette Touloumond, who chose to live in a cave as their ultimate option. The most famous sufferer, though, is Dr. Gro Harlem Bruntland, the former prime minister of Norway. She has tried to get more attention paid to the condition since 2002. Some, like Florida Gov. Charles Crist, have tried to do something. In 2009, he proclaimed May as Electromagnetic Sensitivity Awareness month. The World Health Organization, however, believes that these symptoms don’t necessarily reflect one single medical problem. Given that few in the medical profession seem to believe that the condition is real, it’s hard to imagine how Inkly can go on. What can he do? Opt to live in a cave too? Even then, what kind of life can he have? It seems a great pity that medical science doesn’t seem to have done too much to discover whether symptoms such as Inkly’s can be definitively traced to electromagnetic signals. Meanwhile, he must try and find a bubble to live in. But where? Dit bericht werd geplaatst in Ervaringsverhalen op 3 oktober 2016 door Elektrogevoeligheid NL. Anne wordt ziek van wifi: ik slaap onder een klamboe. Electrogevoelige software ingenieur in Jamaica wil stralingsarme computer bouwen. Interview over straling bij Open Huis op Radio 5.